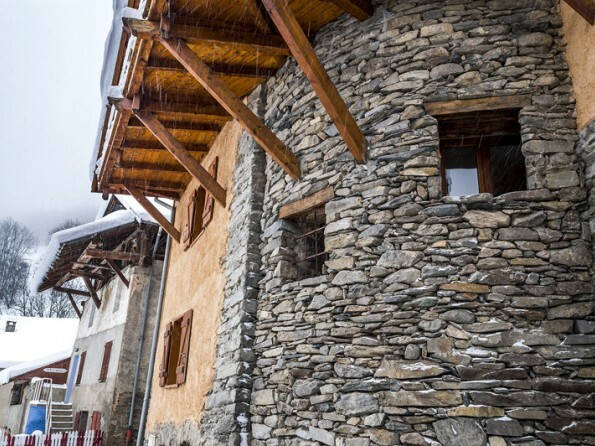 Beautiful converted farmhouse in La Plagne in the French Alps with stunning mountain views. Skiing, walking, mountain biking and much more. Fabulous food, a warm welcome, and huge squashy sofas await you! Traditional features include thick stone walls, beamed ceilings, and a spiral staircase, whilst the living room is light-filled and open plan. Our 3 storey house was originally an old farmhouse. 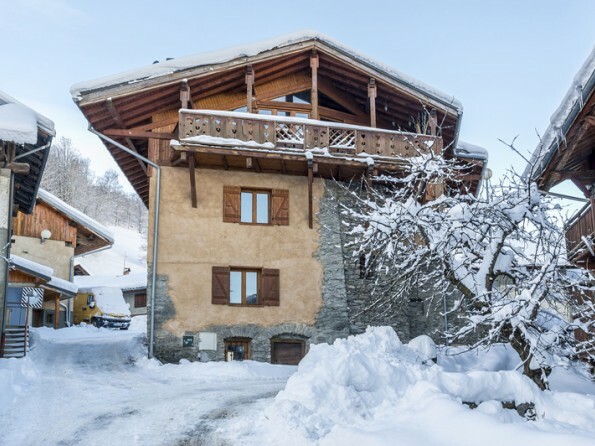 The stunning new top floor features an open plan living and dining area, with amazing views up and down the Tarentaise valley across to the distant peaks of Mont Blanc. Balconies open off 2 sides of the house from picture windows. 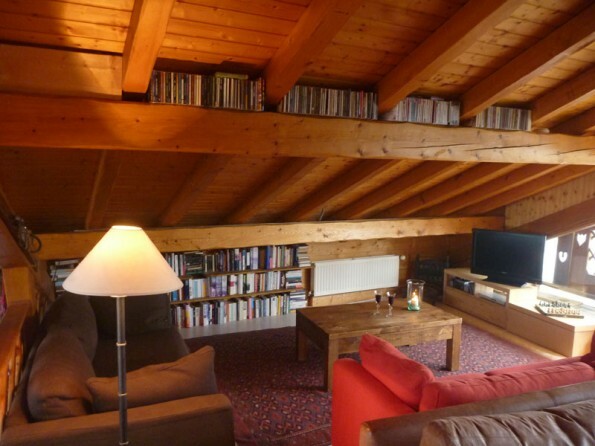 The airy living room has huge, squashy sofas and an extensive library. 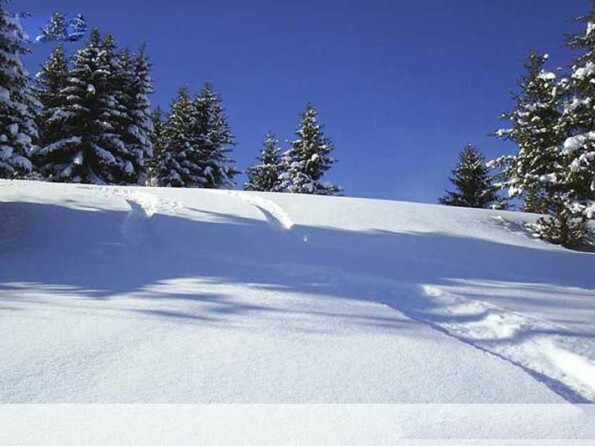 Paradiski (La Plagne + Les Arcs) has over 400kms of pistes to explore and a huge variety of runs. The skiing ranges from 1250 metres to 3400 metres, with 70% of the ski area above 2000 metres which makes it high and snow sure. Beginners start on gentle green runs through the trees (with convenient piste side restaurants for refreshment! 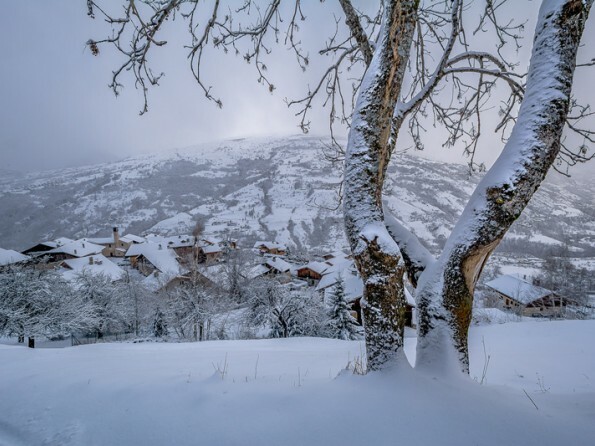 ); intermediates can get from one side the resort to the other on blue runs; and advanced skiers can test themselves on the black runs, powder fields and serious off piste (the north face of the Bellecote is locally famous for an off piste adventure). We offer airport transfers in our minibus. Fly into Chambery (100kms), Geneva (140kms), Lyon (200kms) or Grenoble(180kms) airports. 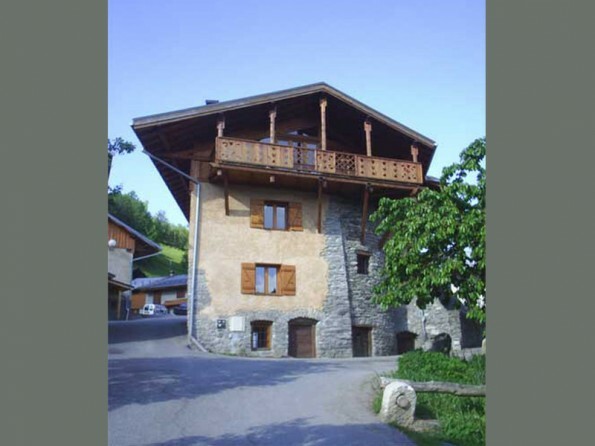 Or take the Eurostar to Bourg Saint Maurice station (20 minutes from chalet). Drive from Calais (9-10 hours). The 6 bedrooms are on the ground and first floor. All have an individual character. 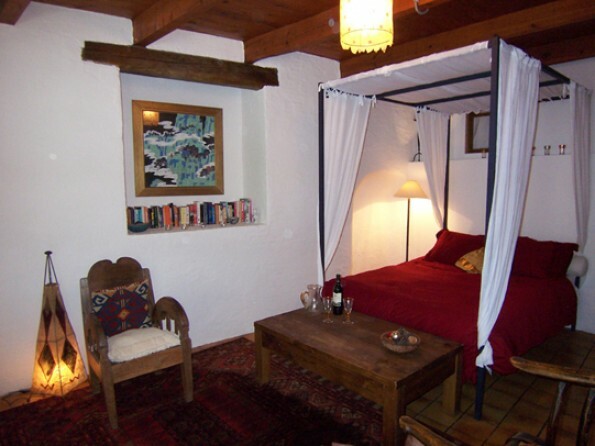 Bedroom 1: small double with thick walls, old beams, tiled floor. En suite shower. Bedroom 2: large family suite of 30m2. Four poster bed, through to connecting bunk bed room. En suite shower and loo. 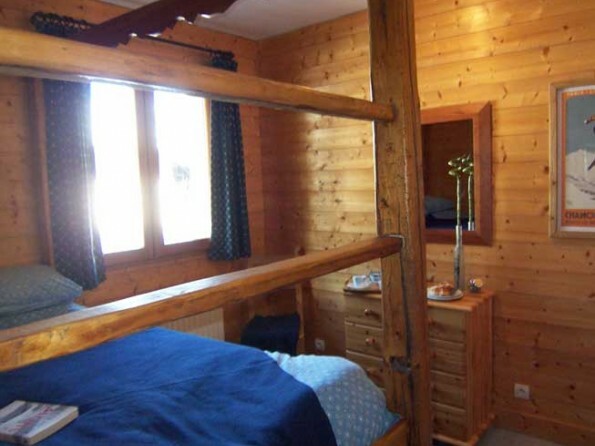 Bedroom 3: large double with stunning views, lots of wardrobe space, en suite shower and loo. Bedroom 4: white washed twin room. 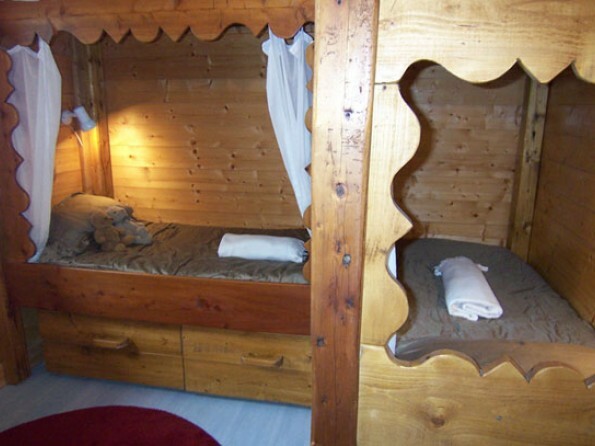 Bedroom 5: double with built in wooden four poster bed. Bedroom 6: Twin with built in wooden cupboard beds, with curtains - very cosy! Bedrooms 4,5 and 6 share a family bathroom (bath, shower over, loo) and separate loo. On the 2nd floor the living space opens out into a beautiful open plan space filled with light. The living room is up 5 steps from the kitchen/ dining room, and has big squashy sofas and lots of space for relaxing. The house is filled with books, CDs and DVDs for guests to enjoy during their stay, as we are dedicated book lovers and avid collectors! 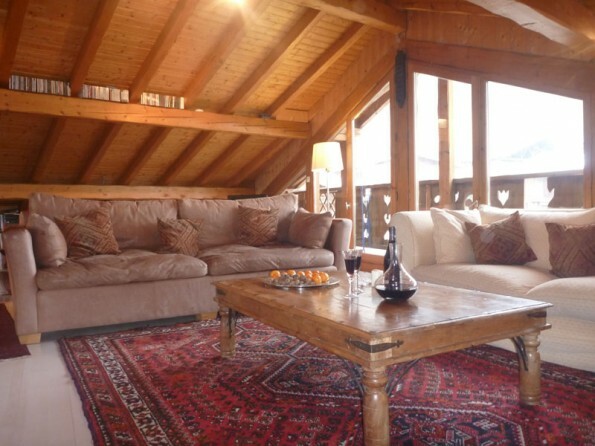 The balcony is large with stunning views across the valley to the distant Mont Blanc. Outside is comfortable seating, electric lighting, and a little barbeque. You can sit out under the roof well into the evening and watch paragliders descend into the valley below you. 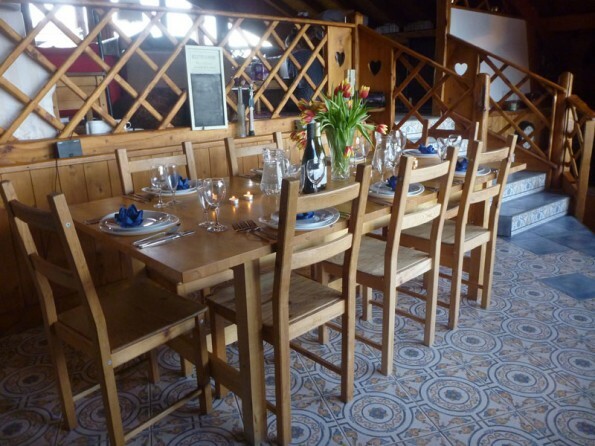 The owners are on hand to help with any other detail of the holiday, from booking ski lessons, lift passes, equipment hire; to organising summer activities. We have a minibus too for airport transfers or for local trips during your stay. 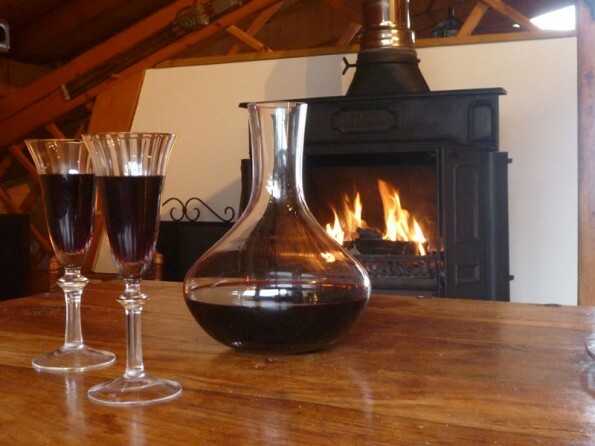 Winter: we offer catered accommodation, prices per person per week. This includes 7 x breakfast, 7 x afternoon tea and cakes, and 6 x 3 course evening meals with wine. Our usual changeover day is Saturday. 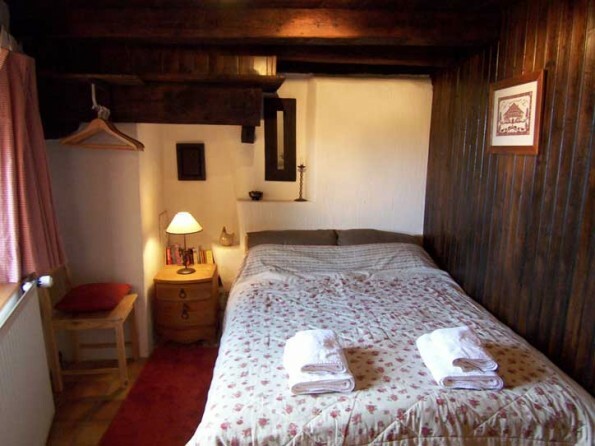 Summer: we are a Chambres d'Hotes, offering B&B with optional evening meals. All linens and towels are included in the price at all seasons.